Why is Corporate Wellness Important? Health and wellness is said to be the new frontier and fuel for the successful businesses of tomorrow. 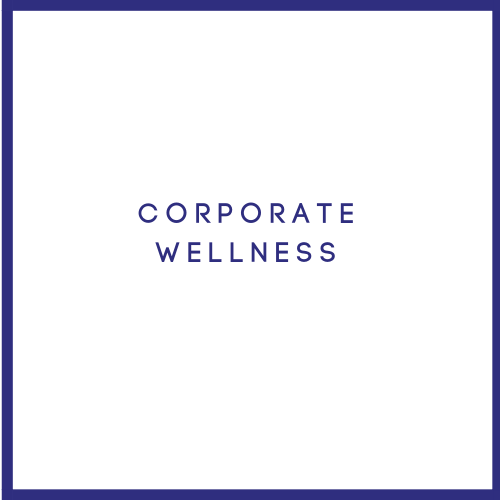 Corporate wellness contributes to managing staff stress, decreasing sick leave, increasing staff motivation and productivity, improving work and life balance, improving staff relation and support, and lastly greater return on investment. How Can We Help? Through years of research and experience we have developed an effective approach to corporate nutrition that helps individuals, teams, and organizations maximize performance. Our services can be tailor fit to meet any corporate standards or goals. What We Offer…. Corporate Wellness Workshop: A one-time wellness workshop for individuals, teams, or whole organizations covering the following: 1. Explanation on how good nutrition can enhance quality of life for employees: sleep, mood, energy, weight loss, stress management, and work/life balance. 2. Provide employees with the necessary tools they need to make health conscious decisions both in the office and at home. We do this by going beyond telling them what to eat, but rather focusing on the why and how to eat, in order to yield lasting results 3. We create a fun, healthy, and motivated work environment through suggesting effective food and exercise strategies for the office. A wellness workshop is the first step in creating a healthy, productive work environment. If there is continued interest in corporate wellness we also offer a long term wellness plan, our 21 Day Clean Eating Plan for Businesses.